Wood chips are good for pathways along a garden in that they are durable and prevent compaction from foot traffic. Natural colored chips can also make the path blend in with it’s surroundings. The opposite can be the case when a color is chosen that stands out from the natural soil color and vegetation helping to direct people along the wood chip path protecting the plantings from being walked on. Wood chips will reduce germination of weed seeds, stabilize soil temperatures (warmer in winter, cooler in summer), reduce evaporation and conserve soil moisture, and make removal of weeds easier. Wood chip mulch can be attractive when used properly in the landscape. Wood chips consist of chipped wood from a variety of hardwood species, including oak, pine and maple. Wood chips are not as decorative as landscape bark, which tend to retain their color for several seasons, because they tend to fade quickly, taking on a gray or weathered look. 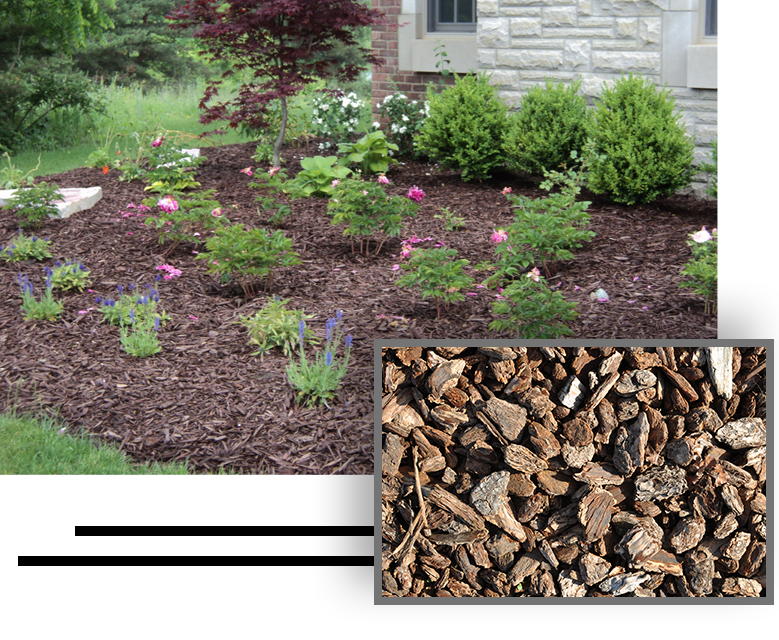 Landscape bark and wood chips are often used around flowerbeds, trees and shrubs as a mulch material. They add a decorative touch to your landscape, while also suppressing weeds, retaining soil moisture, moderating soil temperature and preventing compaction. Western Materials offers the following wood chips and bark. Landscape bark is usually made from the bark of softwood trees such as pine, spruce, fir and redwood, and is used in gardeners as a decorative mulch material. Landscape bark comes from the bark from the trees, and from there it is shredded or graded for use as a landscape material. It is available in a range of sizes and is usually processed into chunks, granules or shredded material. Landscape bark chunks tend to last longer than shredded or granule products. Click Here if you need to place an order for wood chips or landscape bark, and our sales professionals will help you right away.